Nike Air Max 90 - Blue Glow "Elephant"
Nike Sportswear releases a Blue Glow "Elephant" colorway of the classic Air Max 90, exclusive to European Footlocker locations. Along with the Wolf Grey "Safari" Air Max 90 previewed yesterday, Nike Sportswear has also released a Blue Glow "Elephant" colorway of the classic running model, exclusive to European Footlocker locations. 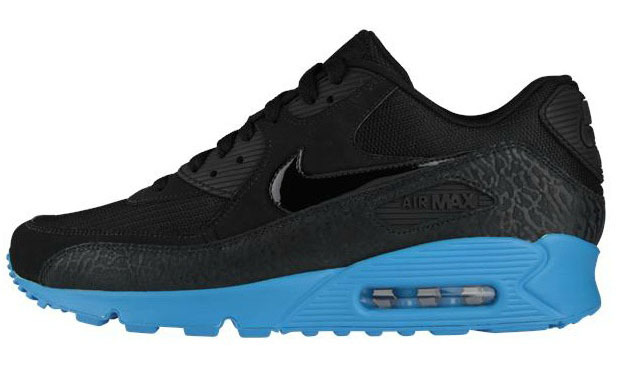 This Air Max 90 features a black on black upper with a textured, elephant print mudguard. 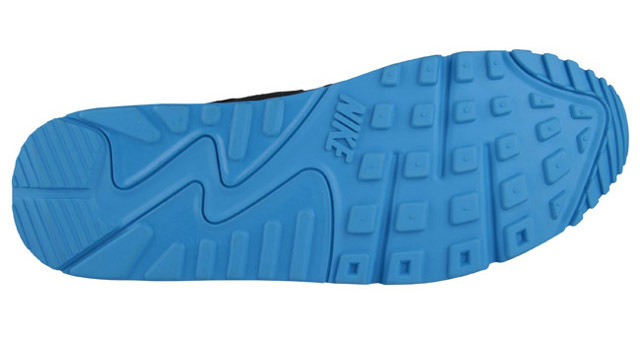 Blue glow fills the midsole and outsole for an eye-catching color block. 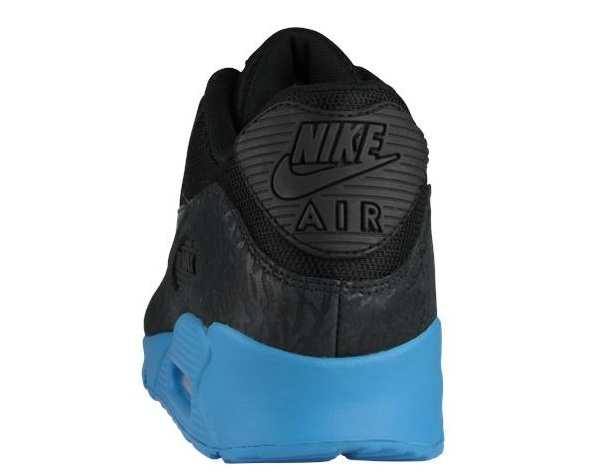 The Nike Air Max 90 in Black / Black / Blue Glow is available now at Footlocker EU locations.